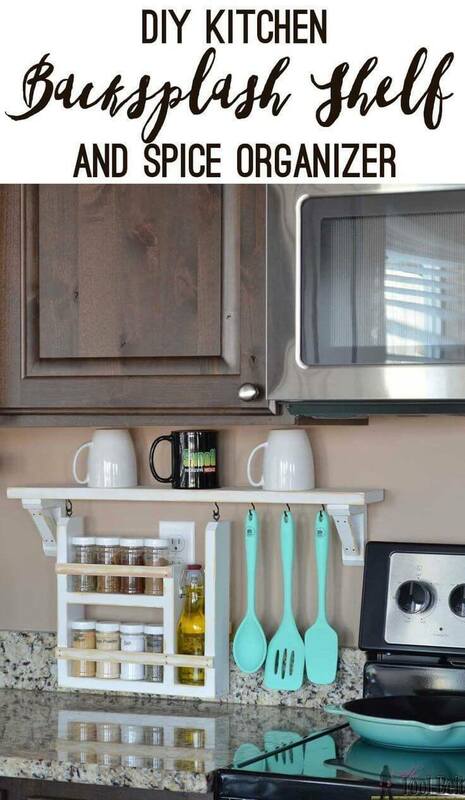 There never seems to be enough space in the kitchen. 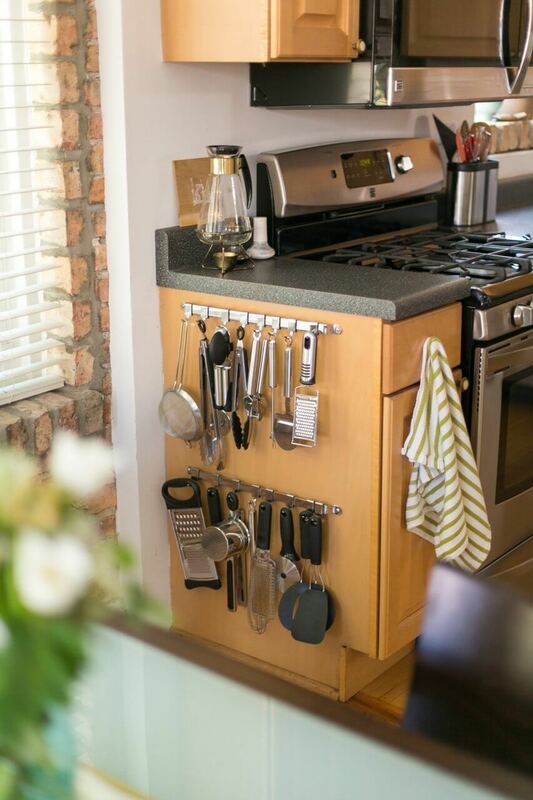 Whether you have a sprawling cooking space or a tiny galley, it always seems to fill up! 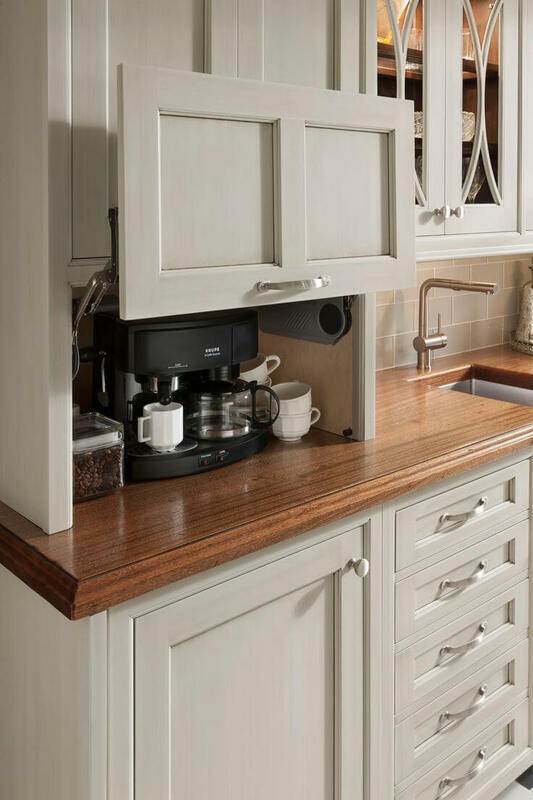 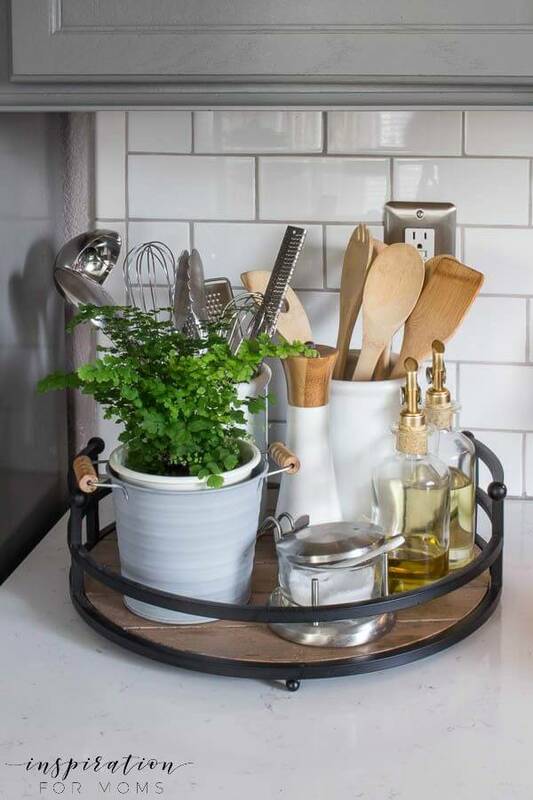 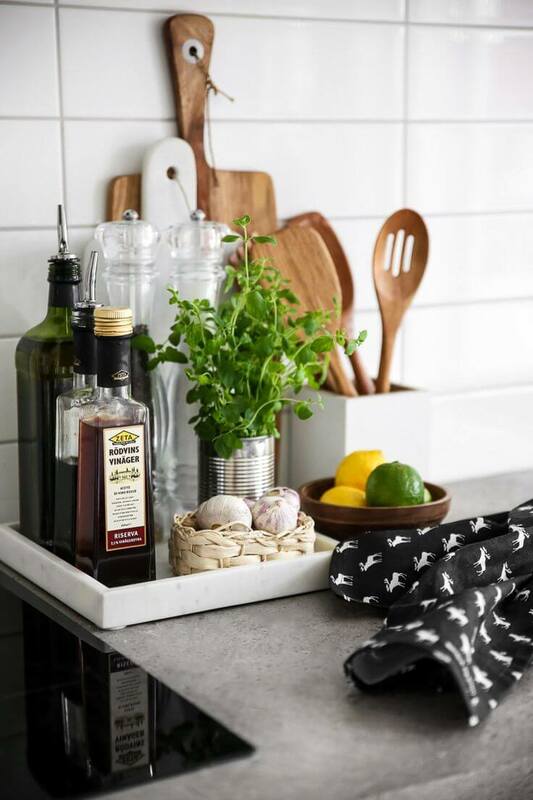 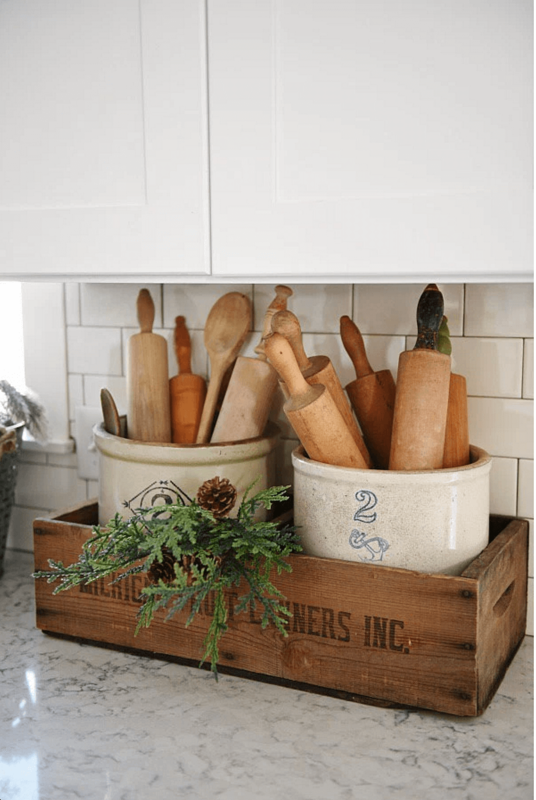 If you are scrambling to find room for all of your gadgets, appliances, and space to cook, too, you need to try some of our clutter-free kitchen countertop ideas! 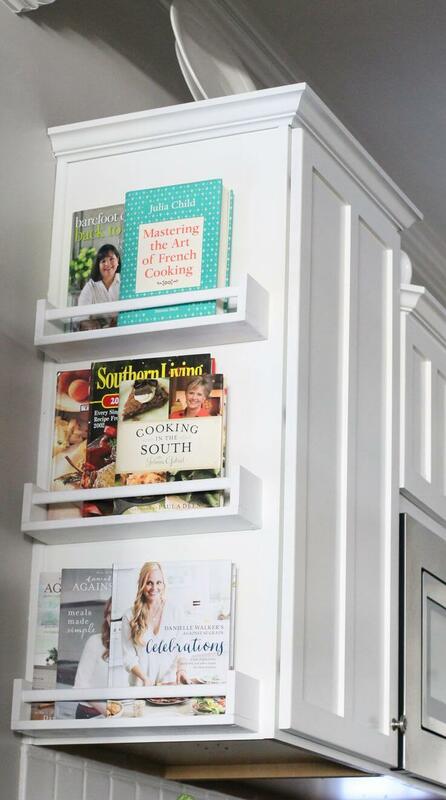 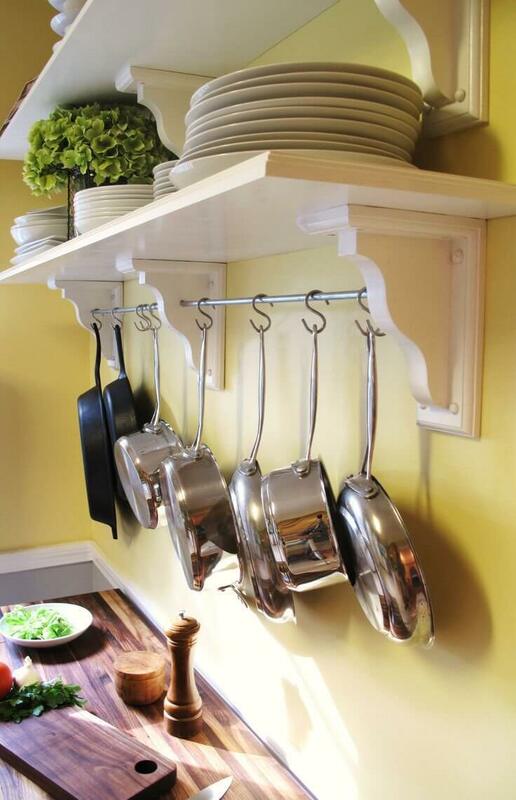 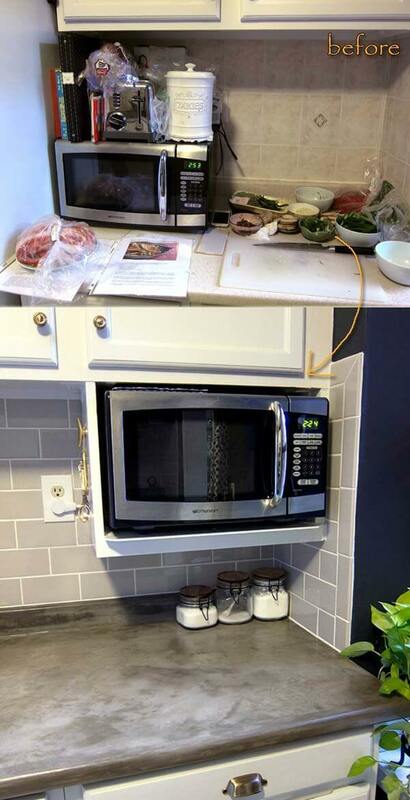 These clever hacks keep your stuff up and out of the way so you can do your culinary magic. 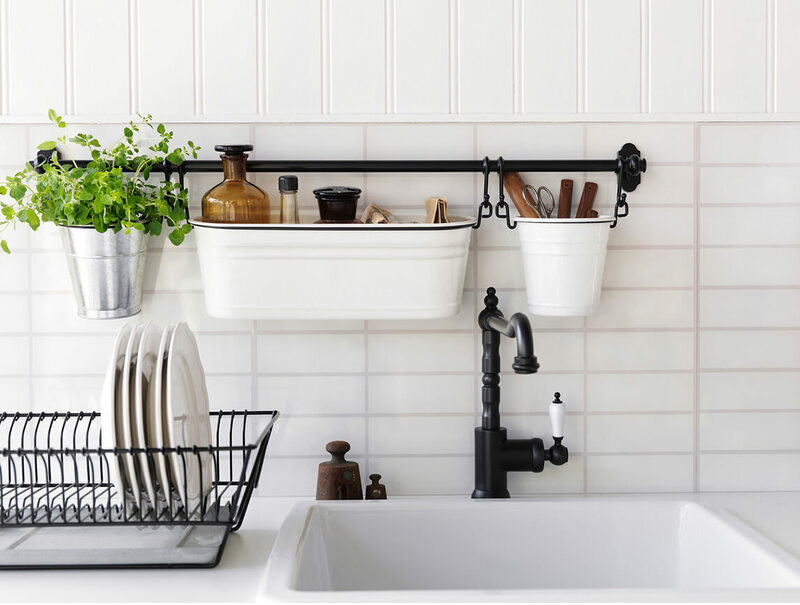 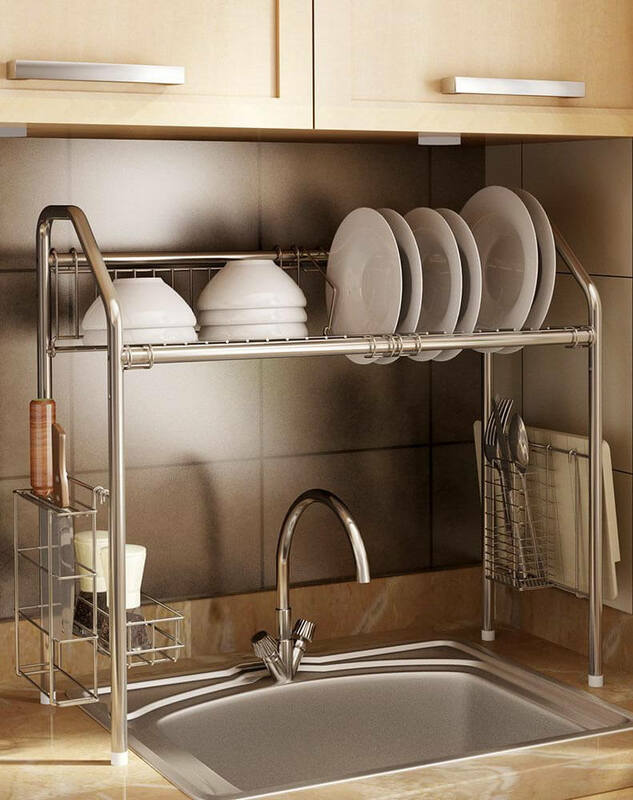 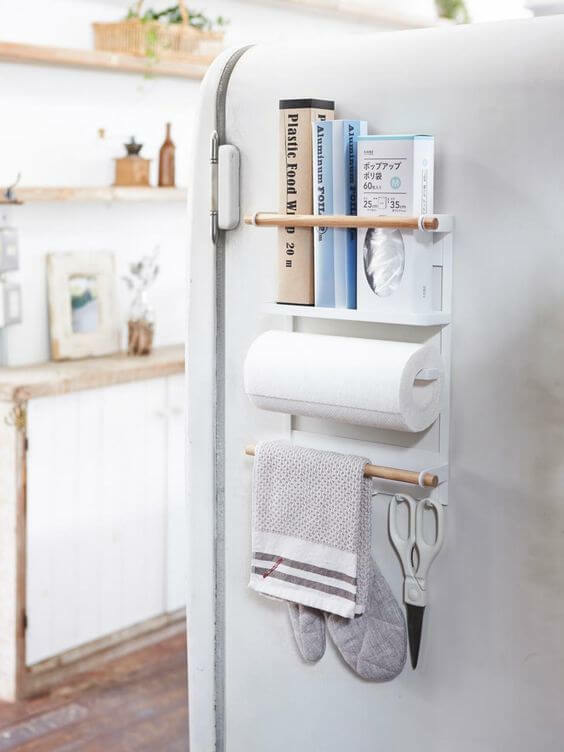 From pantry items to appliances to dish washing accessories, there’s a storage solution on this list for everything in your kitchen. 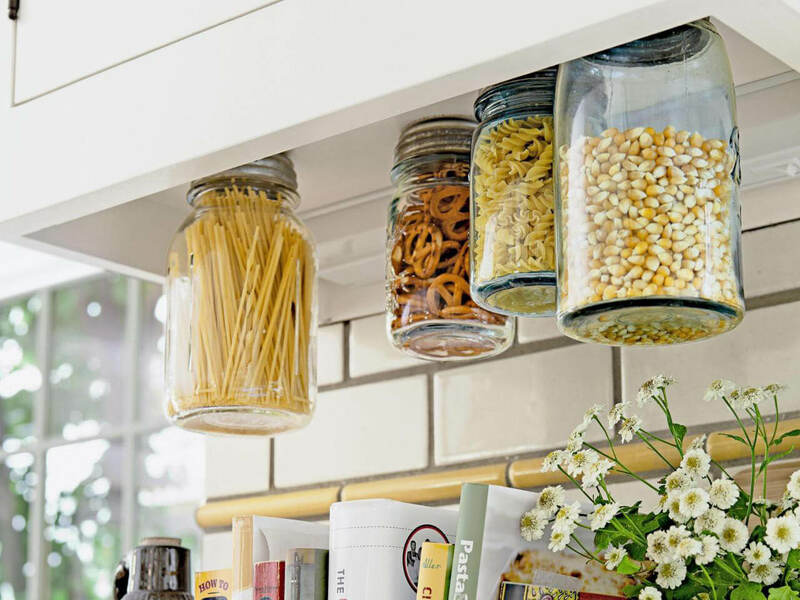 Most of these clutter-free kitchen countertop ideas utilize spaces like the side of the fridge and cabinets, underneath cabinets, and over the sink to make the most of your space. 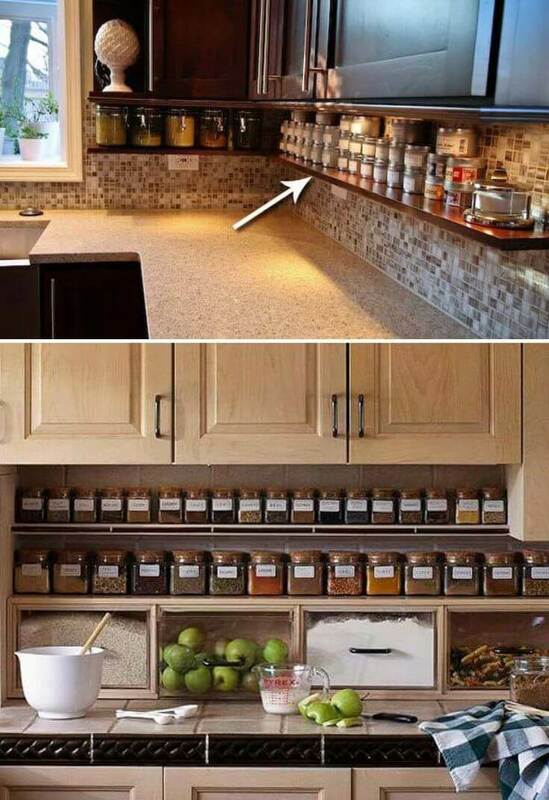 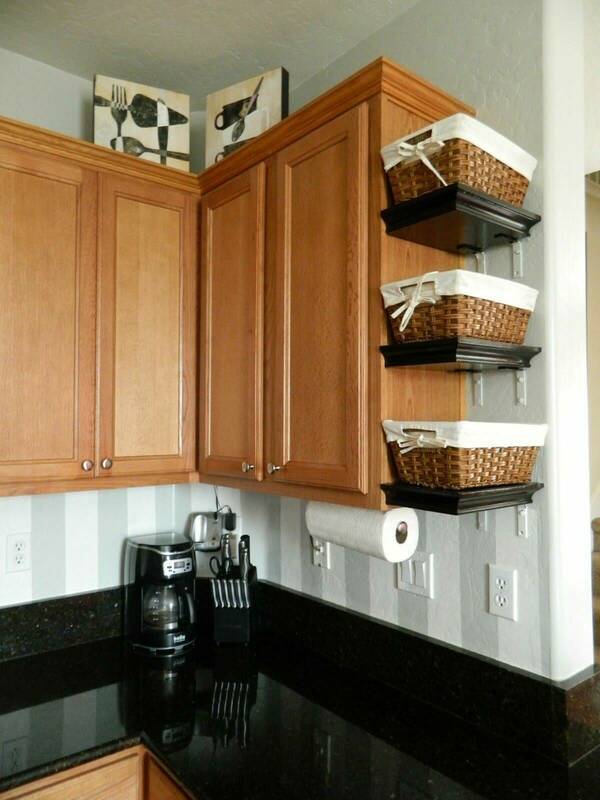 Each unique idea will show you just how much room you really have in your kitchen. 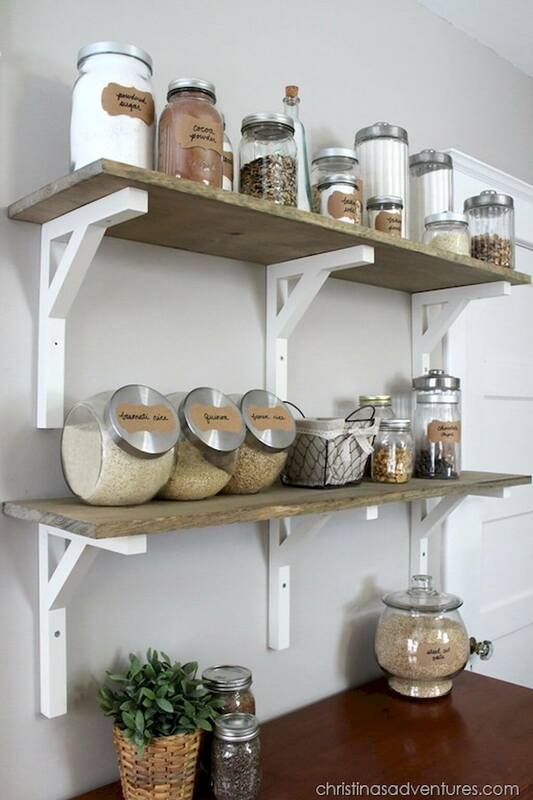 With baskets, hanging rails, shelves, jars, and cabinets, you will wonder how you ever got by without all of these projects! 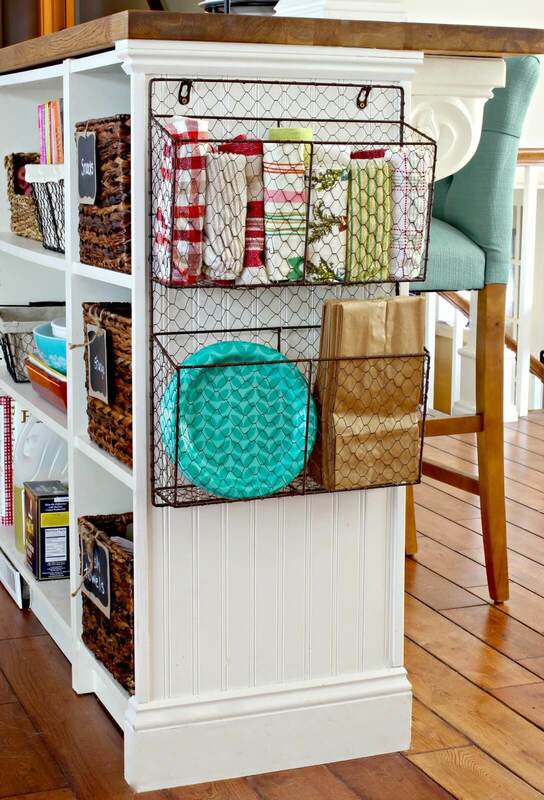 Whether you are looking for a simple project or a more involved storage idea, this list has something for everyone. 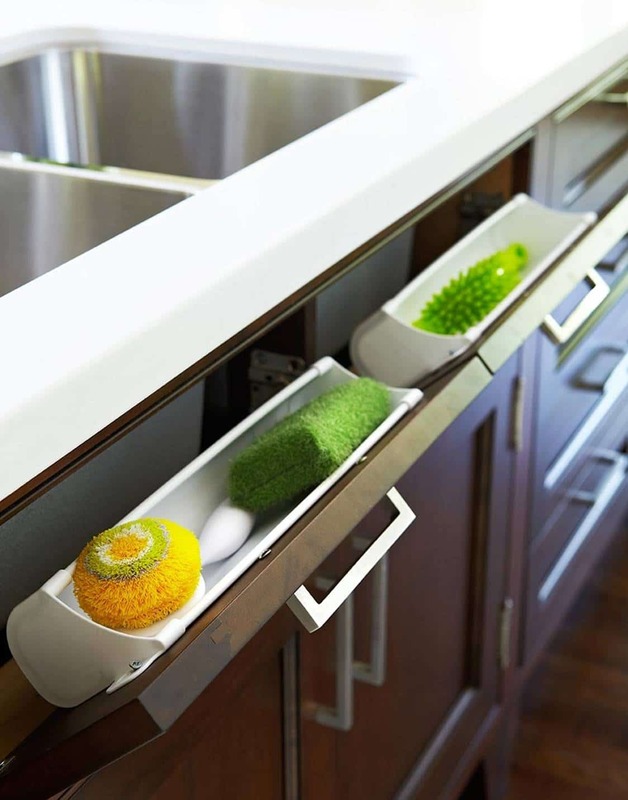 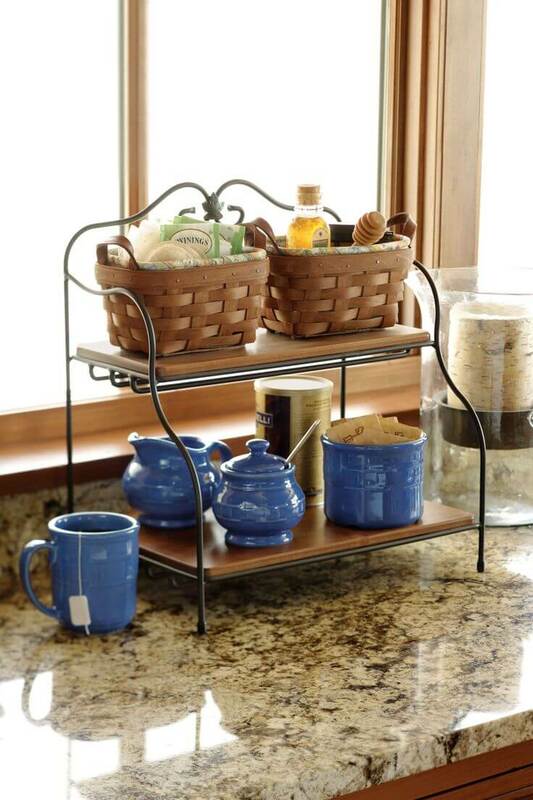 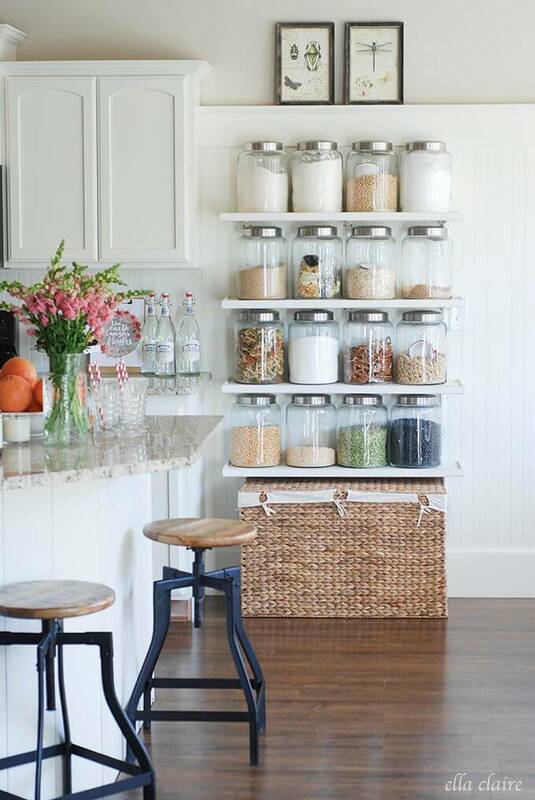 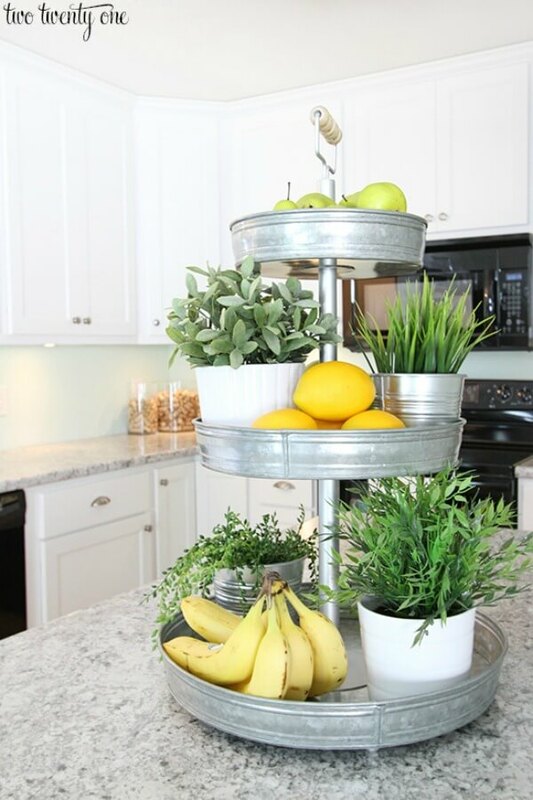 Keep reading to learn more about all 23 space saving clutter-free kitchen countertop ideas!